Mommy's and their little boys. I personally could never imagine how much love I would feel for a son. I had only one sister. And prior to having a boy of my own, I had one daughter and my sister had four daughters, so I felt that we only knew about girls. I just was so nervous that I didn't know enough about raising a boy. But then my little man arrived, and he stole my heart a million times over. I developed an incredible soft spot for these little men, and the relationship they have with their Mommies. My son still has me wrapped around his fingers most days with his incredible hugs, and sweet way he still calls me "Momma". And I see a similar connection so much when I photograph Moms and their sweet little men. There is a soft spot for these boys, for the way they, the way they look at their Mothers, and the way they love to cuddle into Mommy's arms. This image speaks so much to me about the adorable relationship between a Mother and her little man. The adorable giggle, her beautiful smile as she holds him tight, and the way he loves looking at Mommy's face, even though he may have found something funny in her smile. One of my favorite things to do during a session is to just step back and leave a parent alone with their child and watch the moments and the beauty unfold. 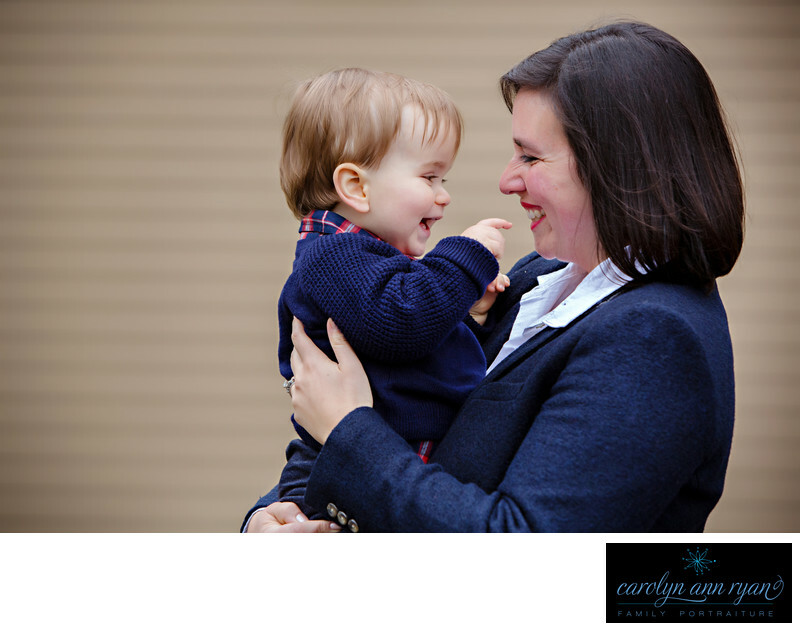 I give a small hint of direction, but the rest of the moments just happen, and I love capturing them to help my clients cherish for the future.Keywords: Autumn (117), blue (138), boys (120), Charlotte NC (180), Fall (129), Family (171), giggles (105), Mom and son (9), Mother and son (15), plaid (105), sweater (60), sweaters (57). 1/320; f/4.5; ISO 640; 140.0 mm.